By supporting the programs of Read Muskegon, you are supporting the long-term sustainability of our communities by helping to break the cycle of illiteracy. You can print this form and mail your tax-deductible contribution directly to Read Muskegon, P.O. Box 1312, Muskegon, MI 49443. Click here to make a secure online donation via Paypal. Give a gift in honor of someone you love. 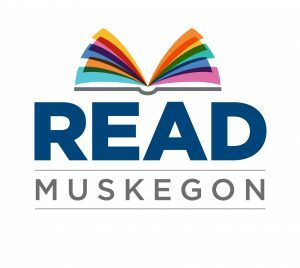 Rather than giving another tie or bouquet, why not make a contribution to Read Muskegon in their name? We will recognize your contribution with a personalized card sent to your loved one. Contact Louise.schaallema@readmuskegon.org for more information. Read Muskegon is a nonprofit corporation, federally tax-exempt under Section 501(c)(3) of the Internal Revenue Code. You will receive a letter of acknowledgment for tax purposes. Read Muskegon participates in GuideStar, the online standard for non-profit accountability. Visit GuideStar to see our listing.